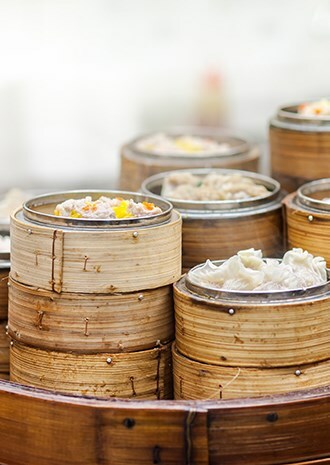 ... and tracking the best dim sum in Hong Kong. Eight "Straight to the Source" foodie vacations, a profile of Singapore at 50, and more. 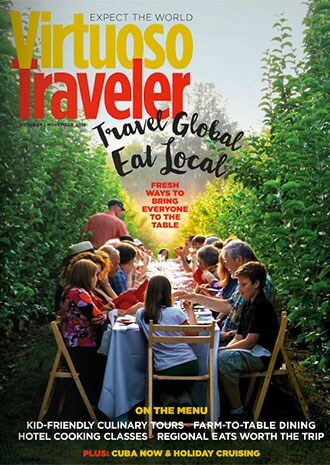 Travel Global, Eat Local – featuring eight "Straight to the Source" food and drink-based vacations you can take today. How does one find the best tapas in Barcelona? Splurge for Budapest or cop a steal in the Bahamas? John and Sally Akridge have been all over the world. What can you learn from them? Where should you take your children for a culinary-themed trip? Ask Virtuoso advisors: What's the best dish you've ever had at a property? If you'd like to work with a Virtuoso advisor on your next trip(s), connect below. If you read some of these Traveler articles and want to get moving on an actual trip, an advisor is your best bet. Why? Well, how about we let actual travelers describe the value they've seen on their own voyages.